Located on the west coast of Portugal, Lisbon is a stunning capital city with plenty to offer the avid city explorer. Known to some as the ‘capital of cool’, Lisbon’s reputation as one of Europe’s go-to destinations has been on the increase over the past decade, with millions of tourists flocking there each year for its quirky, laid-back attitude; stunning architecture and authentic olde-worlde feel. Not to mention the delicious food and drink – one of Lisbon’s most famous exports is its Belém egg tart, which has people queuing around the block at all hours of the day, to get one fresh from the oven. The cheapest city break destination in western Europe, Lisbon is steeped in culture, and it’s not just the houses on the city’s hills that are colourful – Lisbon’s history is one of conflict and acquisition; tragedy and rebirth – and is a delight for history fans the world over. A devastating earthquake, and the resulting tsunami wiped out much of the city in the 18th century; the city’s rebuild reflects a kaleidoscopic collection of European input to the capital’s recovery. Take a trip on one of Lisbon’s famous yellow trams; bask in the city’s sunshine from one of its many green spaces; and hitch a ride on the funicular to give your legs a rest after a day of walking the city’s winding streets. 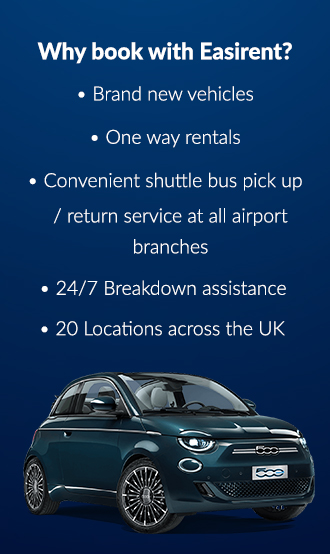 The city is serviced by Lisbon Airport, which is also known as Lisbon Portela Airport, and transportation into the city centre couldn’t be simpler in your holiday rental car. Hop in your hire car and take the short seven-kilometre drive into the city centre, where your lazy Lisbon holiday can begin. Don’t be mistaken by Lisbon’s lazy reputation, though – once the sun sets on this stunning city – the capital sparks to life, and proves why it’s one of the top destinations in Europe for eating, drinking, and being merry. Picture traditional wine bars in windy cobbled streets – Portugal is famed for its vino verdé; lively, party streets for those who want to dance into the early hours – Lisbon’s ‘pink street’ is home to many of the city’s nightclubs and bars; and the more traditional watering holes overlooking the city’s hilly skyline. The hilly streets of the Portuguese capital are filled with accommodation options, from bohemian boutique hotels, to competitively priced hostels and apartments and seafront hotels. For a stunning seaview, check into Lisbon’s InterContinental Hotel, one of Lisbon’s most iconic hotels which is spread over 19 floors, and is perched atop the hill overlooking Edwardo VII Park. Elegant and charming, guests can expect dark wood with a gold trim throughout the hotel – adding to the decadence of the hotel. Inside you’ll find Akla Restaurant, which provides an exceptional menu for guests and visitors alike. the InterContinental Hotel is is just a 15 minute drive from Lisbon International Airport in your holiday hire car, and rooms begin from as little as £106 per night. If you’re looking for a slightly cheaper option – and there are many of cheap accommodation options in Lisbon – then there’s an abundance of clean and quirky hostels that you can pick from. Voted one of the best places to stay in Lisbon, the Alfama Patio Hostel exudes bohemian charm and could easily be mistaken for a high-end hotel, due to the attention to detail paid to each and every room. The building is built on the site of one of the oldest universities in the world and it is believed that Christopher Columbus himself studied here. Inside the hotel you can find 12 dormitories, which can be booked on a private or shared basis, and a fabulous rooftop terrace, fully kitted out with sunloungers, hammocks and lots of greenery. For a boutique stay in the city, check into the Solar dos Mouros, a stunning 13-roomed hotel which sits inside St. George’s Castle, atop one of Lisbon’s seven hills. Decorated with vibrant modern art, and souvenirs from the owner’s travels around Africa, the hotel is extremely well priced, at just £77 per night. With its world-renowned reputation for creative cuisine on the increase, Lisbon has something for everyone, from vegetarian restaurants, to restaurants dedicated to meat-lovers; seafood specialists and sandwiches – Lisbon has it all. And with plenty of stunning vantage points in the city – thanks to Lisbon’s seven hills -there will be a free view with most of your meals. Mercado da Ribeira, Lisbon’s biggest fresh food market, opened in 2014 and is perfect if you’re looking for delicious food and a great atmosphere to go with it. A firm favourite with the Lisbon locals, visitors can expect to find 35 kiosks in operation at the venue, each serving up its own unique cuisine to the hungry masses. From plates of ham from the Alentejo, to wines from Garrafeira there’s such an array of tastes, that promises an evening destination to be remembered. For a more traditional restaurant setting, head over to Cantinho do Avillez, the restaurant of José Avillez, one of Portugal’s most prominent and experimental chefs. This small bistro is the epitome of industrial chic, with exposed factory floors and dimly-lit hanging lights; it’s cosy, it’s comfy, and it’s surprisingly cost-effective… Considering that Avillez is considered in a similar realm as British chefs such as Heston Blumenthal, the prices of the dishes are fairly low. If you’re looking for an evening of fantastic food, and a price to match – Cantinho do Avillez might just be the place for you. Hidden amongst Lisbon’s cobbled, windy streets you’ll find some of the city’s shopping gems. Think antiques, vintage, trinkets and treasures – you’ll certainly find them all in the Portuguese capital. Laden with quirky curios shops and ‘Aladdin’s cave’ antique shops – you’ll probably want to bring more than just hand luggage to cart all your finds back home. With Lisbon’s shopping being second to none, it’s time to utilise the boot space in your holiday rental car for what it was meant for – lots and lots of shopping bags. For souvenirs, knick-knacks and delicious savoury snacks head over to Silva and Feijóo, an old-style drugstore which dates back to the 1920s. Today the store is spread across multiple floors, and is one of Lisbon’s most popular stores in the Baixa area; locals head here to buy everything from tinned goods and compotes, to souvenirs and soap; there’s also a really good toy section that you should check out when you pay it a visit. A Vida Portuguesa is the small store displaying vintage Portuguese brands and items, that were once on the verge of dying out. Spurred on by a nostalgic need to bring back the brands and products of yesteryear, a former life opened A Vida Portuguesa in order to preserve the products from disappearing from the national market altogether. As much a shop as it is a museum and a labour of love, and also the perfect place to spend your last few euros before you head home. Overseen by fashion model Raquel Prates, 39a Concept Store is an unmissable shopping experience in the heart of the city. With a striking decor, and some unusual pieces on display, this store is worth a visit is nothing more; and if you do decide to spend, then you’ve got an array of choices from shoes, accessories, bags, coats, swimwear and more. Lisbon is famous for its vintage trams, which chug up and down the city’s hills throughout the day and through all seasons, transporting visitors from sight to sight, and helping the locals with their daily commute. To get an authentic taste of the popular attraction, make sure to hop aboard tram number 28, a beautiful yellow vintage tram with possibly the best route in the city. This is obvious, however, from the sheer amount of tourists who squeeze onto its many routes each day, hoping to catch a glimpse of Lisbon’s districts of Graca, Alfama, Baixa and Estrela – through which it passes. To avoid disappointment, it’s recommended that visitors take the early trips, to guarantee a seat, and more importantly – a view. Whilst in Lisbon it’s almost obligatory for visitors to pass through Alfama, the city’s stunning medieval district. A maze of colourful cobbled streets, Alfama is also home to the Castelo Sao Jorge, the city’s Moorish pinnacle in the heart of the old town, which dates back to the ninth century. Open daily from 9am to 9pm, the Castelo Sao Jorge has an admission price of €8.50 and offers a great vantage point across the rest of the city. Famed the world over for its egg custard tarts, a trip to Lisbon is never complete until you’ve tasted one, and the best place to get one is the bakery that specialises in them in Bélem. Just a short drive along the coast in your holiday hire car you’ll find the little bakery – you won’t miss it as it’ll have a queue around the block. Make sure to arrive there early in order to get a good spot in the queue and an egg custard straight from the oven.